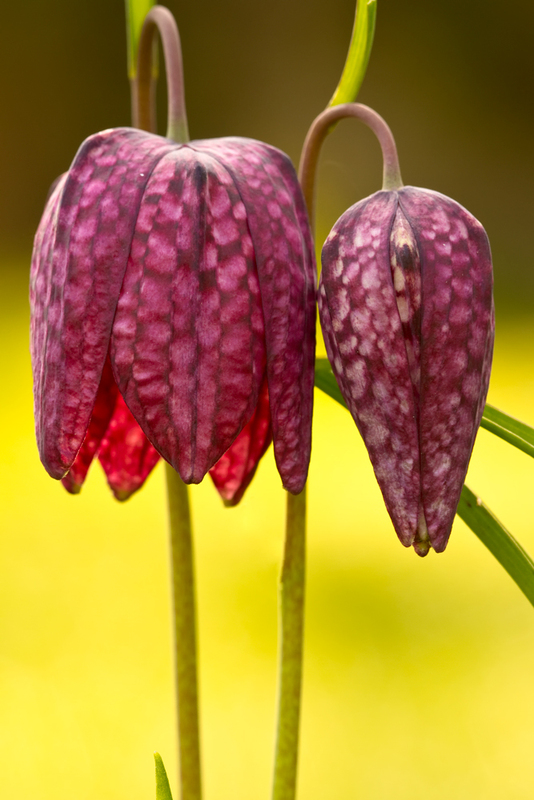 With large, nodding, bell shaped flowers a chequer board of pale and dark purple or of cream, fritillaries are unlikely to be mistaken for any other plant. Flowers from April to May. 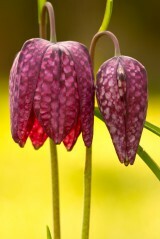 Fritillary is a medium height, bulbous perennial of damp, neutral hay meadows that are grazed in late summer and autumn. 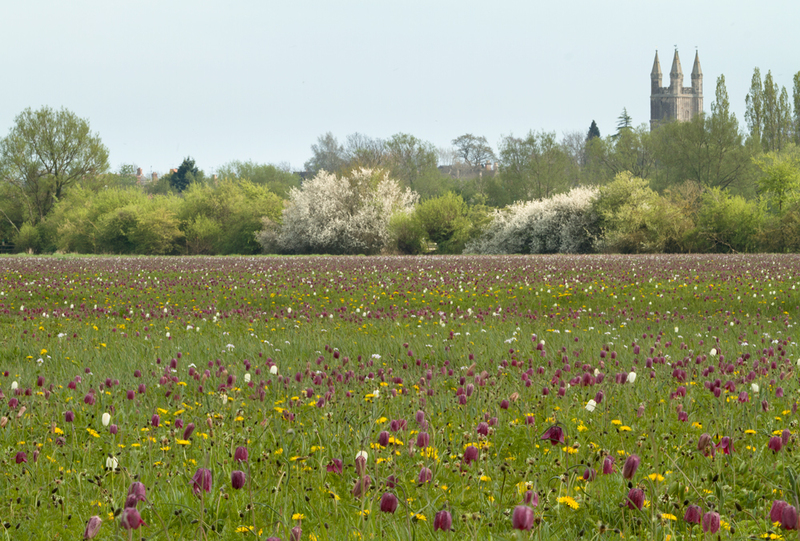 In the wild the heartland of this rare plant are the traditionally managed floodplain meadows of the Thames valley. 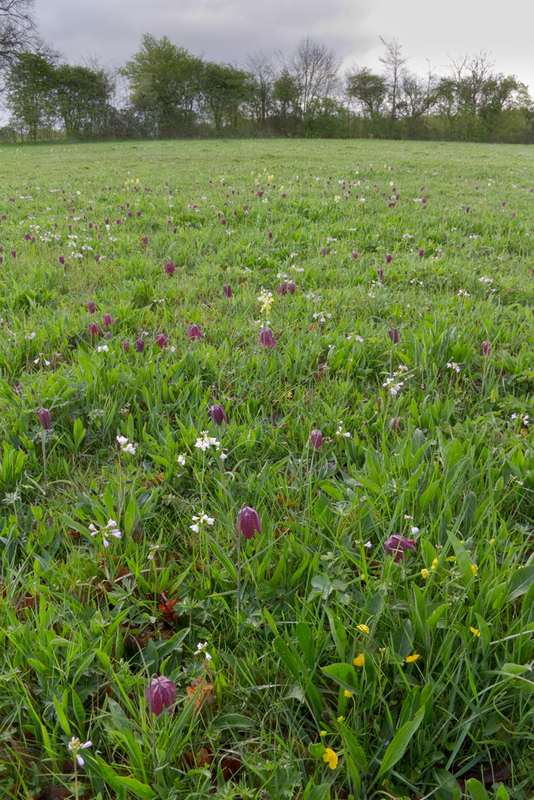 These meadows overlay gravel terraces so, although often damp and sometimes flooded in winter, they rarely if ever become waterlogged. Even here there is some debate as to whether they are native. 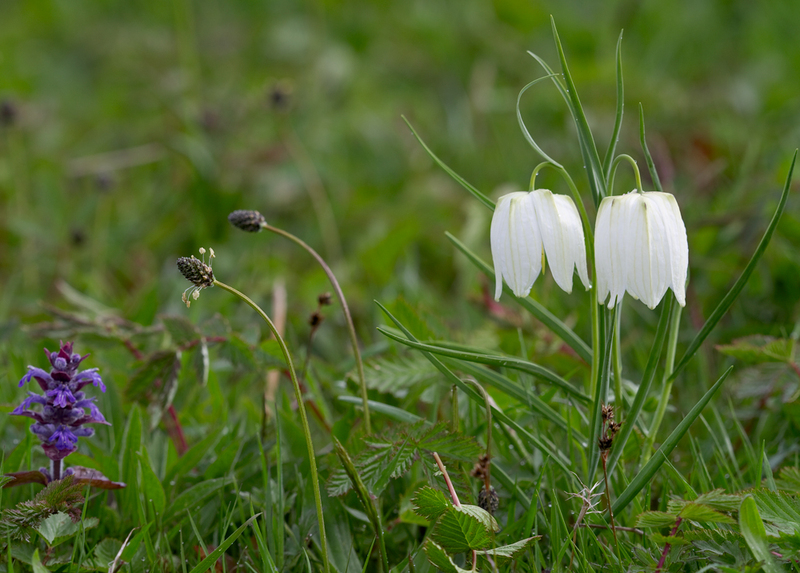 Although found growing some distance from habitation and behave as truly wild plants it seems strange that such an attractive and distinctive species was not recorded in the wild until 1736. 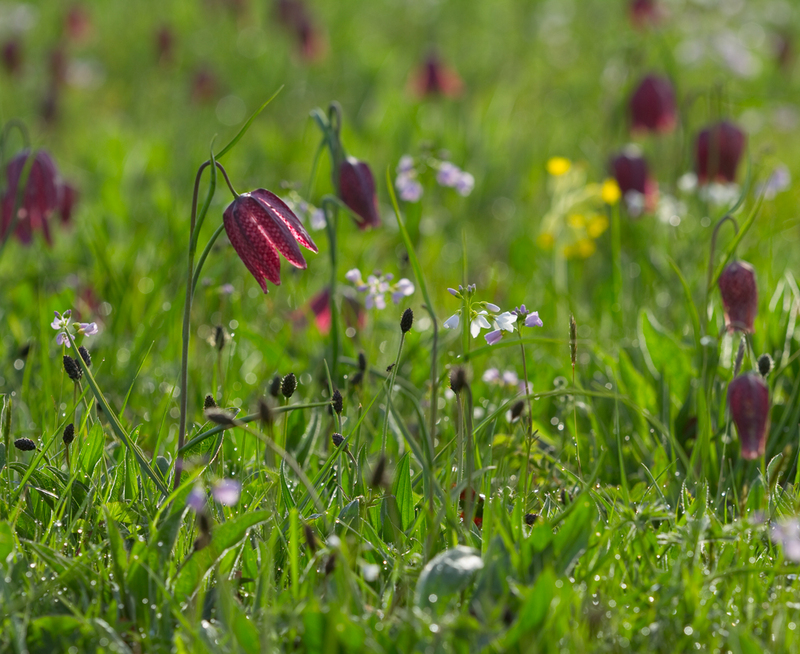 Fritillary seed requires a prolonged period of winter chilling after sowing to break dormancy. It therefore needs to be sown in late summer or autumn. Germination will take place the following spring. In its first year the seedling will develop as just the one seed leaf which will start the development of a small bulb below ground level. 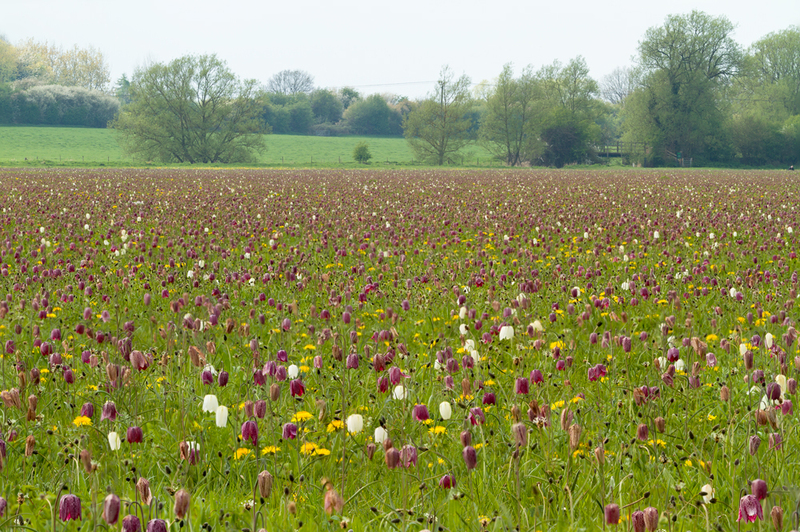 Fritillary plants go dormant in summer so the seed leaf will yellow and wither away mid-summer and produce new shoots for the next season. It will take a number of years of vegetative growth to produce a bulb which is big enough to flower.